Beer n' sausage: It's the first thing that will pop into anybody's mind when considering Wisconsin's largest city. Maybe Harley-Davidson, possibly Happy Days, or whichever your dad’s preference was between Blatz or Schlitz. And there we go again. It’s hard to escape the preconceived notions of the hugely Polish, German, blue collar, big-eating, proudly hard-drinking people in this city. 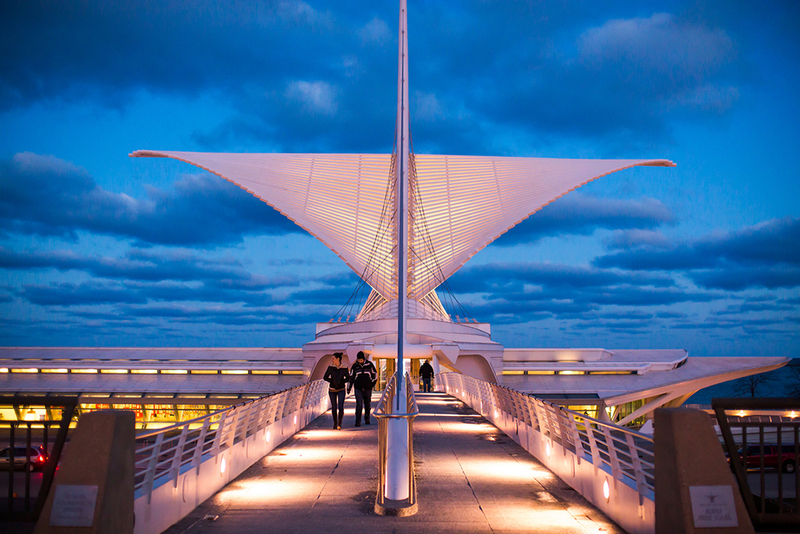 But Milwaukee today is also a burgeoning lakefront 'burg boasting big city amenities without the headaches of a metropolis (we're looking at you, Chicago). Here you can park anywhere, you can live in the hippest 'hood in town without a trust fund, and visitors too have no barrier of access to a patchwork of low-key neighborhood hangouts, a bombastic music festival, and plenty of old world cream city brick charm mixing with an easy-going industriousness (streetcar coming soon!). Of course, Milwaukee also still has plenty of beer and sausage, so be sure to check out the city's best restaurants. What is it: The biggest music festival in the world. Why go: Eleven days, 13 stages, local food vendors, endless beers, an easily accessible location adjacent to downtown - all picturesquely nestled on the banks of Lake Michigan. Plus, it’s cheap: $21 for a single day with multitude possibilities for discounts. 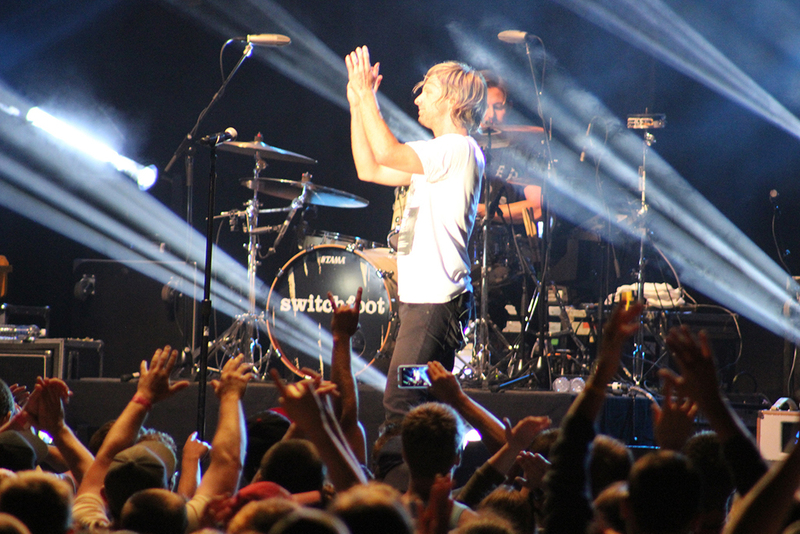 Though you can no longer catch the legendary, amphitheater-packing regular appearances of Tom Petty, Summerfest is still a miracle combo of spectacle and convenience. 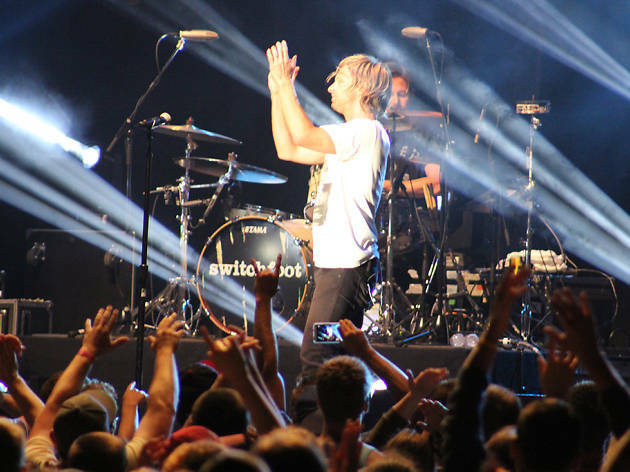 Think The Weeknd or Arcade Fire or the next big thing from the Emerging Artists Series. What is it: The strangest building you’ve ever seen, housing works you studied in high school. Why go: The regular collection spans Winslow Homer to Monet to O’Keefe to Rothko, while touring exhibits might feature the likes of Picasso, or German Cinema in the 1920s. 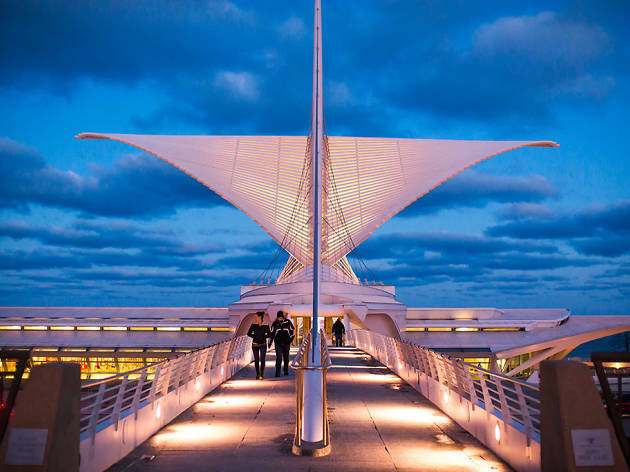 But it’s very much not your grandfather’s museum: Santiago Calatrava designed the striking, postmodern lakefront building with a cathedral-like entrance, and a 217-foot wingspan that folds and unfolds twice daily. Just the building itself is a game and skyline changer. What is it: Waterside headquarters of the ubiquitous brew about town, and ever-bumping gathering place for the east side. 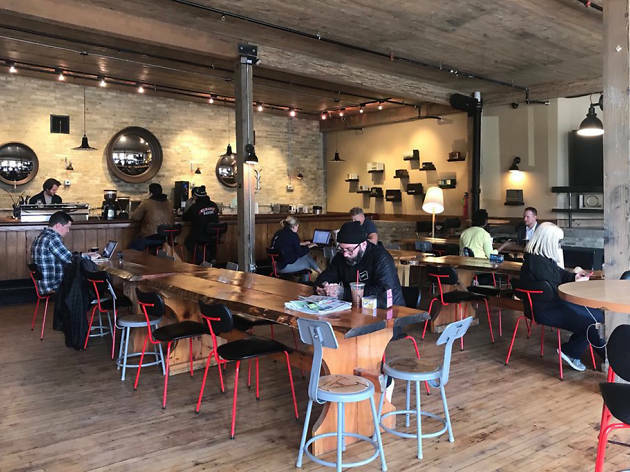 Why go: Bridging the gap between Miller and the hard-to-count surplus of nano breweries sprouting up on a seemingly weekly basis, Lakefront remains the everyman of Milwaukee craft beers. Their base has also pioneered a wildly popular and fun brewery tour, a Friday fish fry and polka tradition, and most importantly, an array of endlessly drinkable beers. What is it: The fifth biggest film festival in the country, celebrating its 10th birthday in 2018. Why go: A step inside the 1927-built Oriental Theater is worth the price of admission alone, but a cinephile’s options are two weeks’ worth of endless showings. 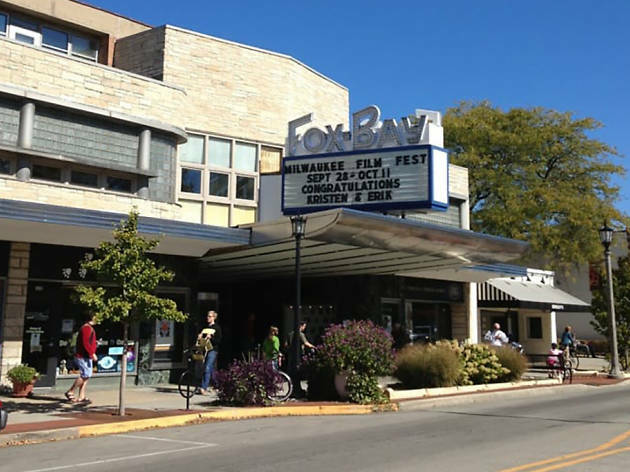 Films from over 50 countries play at a handful of theaters around town, ranging from features and shorts to mystery viewings, plus the annual in-the-aisle dance fest that is the screening of Jonathan Demme’s masterpiece concert film, “Stop Making Sense.” The fest is the new Milwaukee fall tradition, reminding visitors that staying-inside-weather can be magical too. 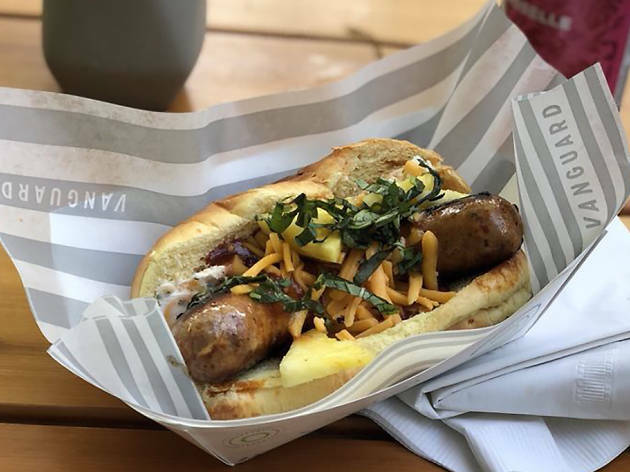 What is it: An updated Bay View neighborhood watering hole that takes house-made sausages very seriously. Why go: The Durty Burger—a beer and sausage patty draped in Velveeta; fried cheese curds with bacon stein aioli; a Duck BLT sausage; or simply the craftiest chili cheese dog in existence. 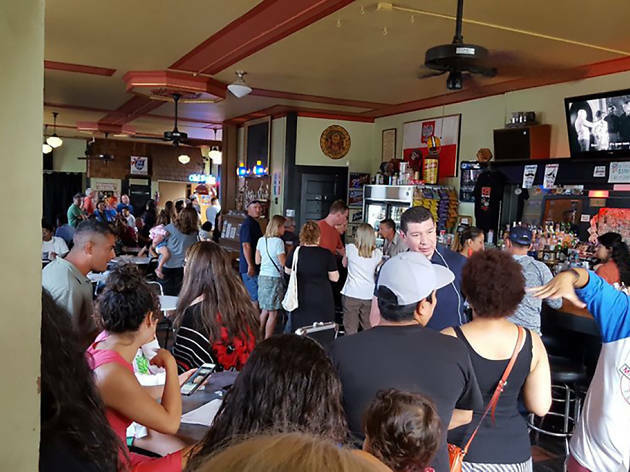 The hip hot spot feels like the geographical and cultural center of the coolest neighborhood in town, but simply put, it’s old school Milwaukee fat guy food, done with care and a touch approaching artistry. 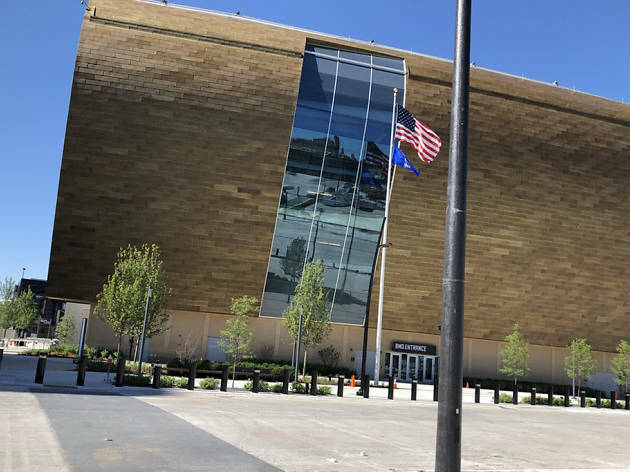 What is it: A downtown arena and fresh home of the Milwaukee Bucks so new it hasn’t been officially named yet. Why go: Giannis Antetokounmpo. The 23-year old forward from Greece has a rags-to-riches story rife enough for 60 Minutes, a position-less skillset on both ends of the floor, and a wingspan that resembles the aforementioned Calatrava. He’s appointment viewing, has been called the future of the NBA, and is spearheading a young, revitalized Bucks squad prepped for a return to the glory days of Kareem Abdul Jabbar. Did we mention he’s 23? 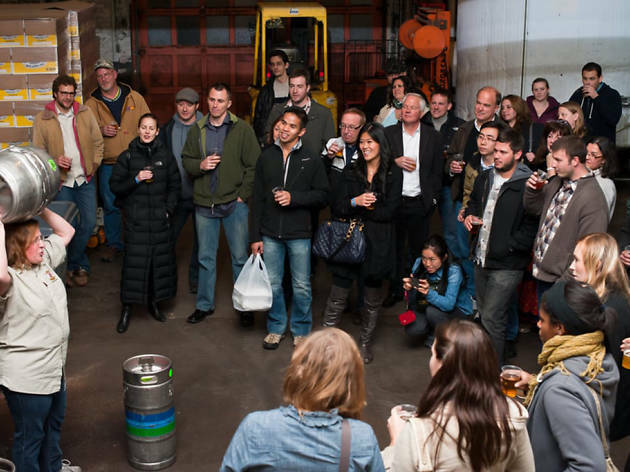 What is it: A citywide bounty of botany meeting brews, yielding socially acceptable daytime drinking. Why go: Milwaukeeans endure eight months of bone-chilling, face-hurting weather. 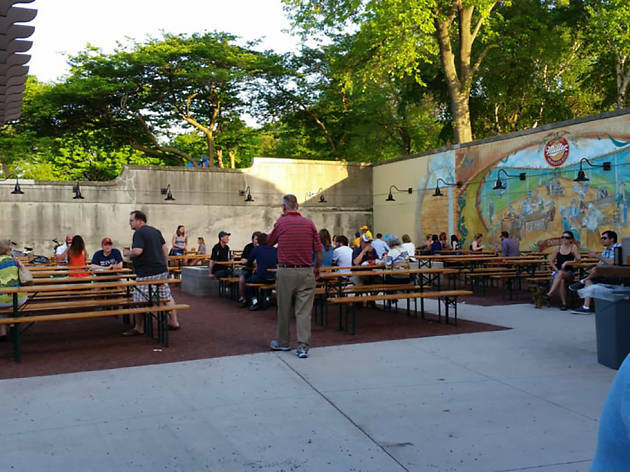 So when it gets nice, they make it count—primarily by drinking outside. The options are everywhere these days, vibes varying from low-key picturesque (Humboldt Park) to a lakeside grill party (South Shore Park). No matter your group, there’s a nearby spot perfect for summertime chilling, and claiming just desserts of tolerating another winter: cold beers under the hot sun. 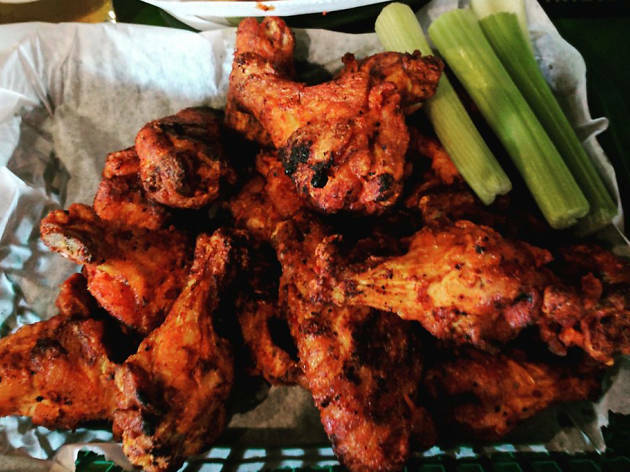 What is it: A chicken wing institution and friendly corner tap. Why go: Fried, sauced, then grilled. Points East serves this paradigm of Milwaukee-method chicken wings. Here they do one way, one spice level. Which doesn’t just make ordering easy - it leaves the final product remarkably consistent: crispy, charry, just-right spicy, with caramelized sauces and a still-juicy interior. It’s a high altar of America’s favorite bar snack. What is it: A crate-digger’s dream, lousy with hard-to-find Soul, Jazz, and World grooves. 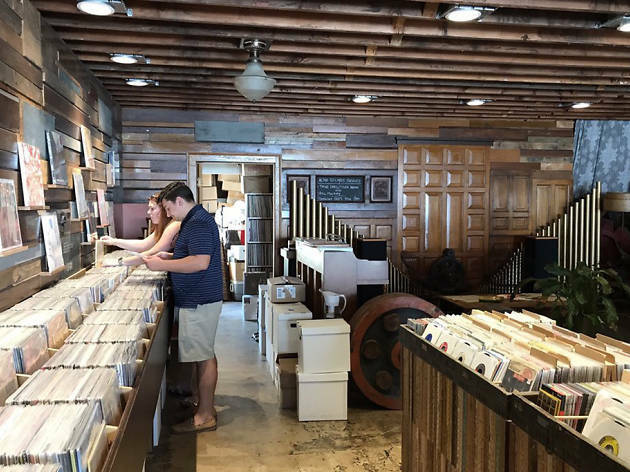 Why go: The carefully curated collection is reflected in the lovingly refurbished, reshaped, wood-hued room where you might hear experimental-leaning live guitar noodling or bump into a record-hunting Jack White. What is it: High end kitchen pedigree in a neighborhood short on options, one that blurs the lines between education and employment: kids from the neighborhood—even those with no experience—are offered jobs throughout the restaurant. Why go: The Memphis fried chicken; it’s impossibly crispy, addictively spicy. Or there’s the golden Georgian for those with less penchant for spice and kitchen soul. Dining here is an act of community and togetherness. But by the time the food hits your taste buds you may not even notice. 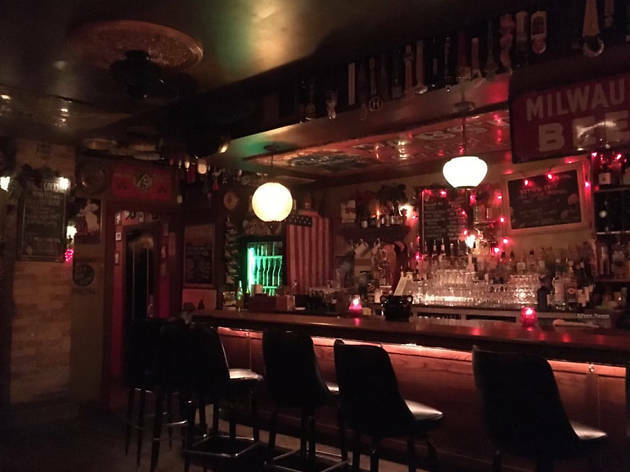 What is it: A bar fly’s dream combo: hip lounge aesthetic, voluminous beer options, friendly neighborhood corner vibe. Why go: Grab a corner booth for a quiet happy hour conversation, shoot pool or shuffleboard with buddies, or rage on the highly curated, nerdist beer list. What is it: The coziest jazz dive you might find outside of New York. 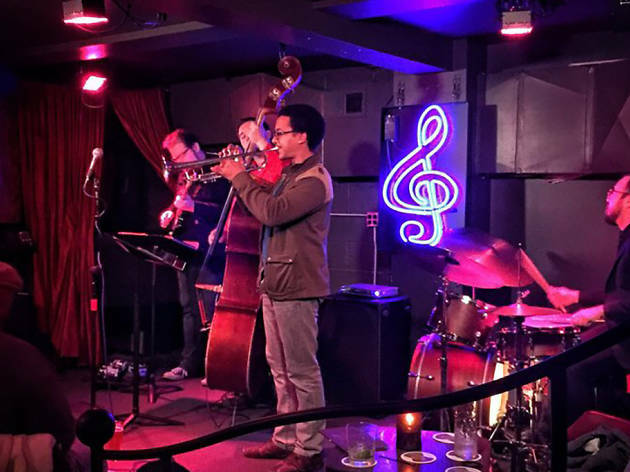 Why go: You’re here for the music—straight ahead jazz trios, New Orleans brass, gypsy, funk, soul, poetry jams—presented on a you-may-get-hit-by-a-trombone slide level of intimacy. But the cocktail program can make any night of the week swing by itself. What is it: Friendly, out of the way concertina bar, harkening a different, simpler time. Why go: Polka. Feel MIlwaukee’s oompa lineage down in your feet. If that’s not your thing, there’s a rotating lineup ranging from country to punk. Or utilize the one-time-brothel simply for what it is: a funky, old, quintessential corner bar. 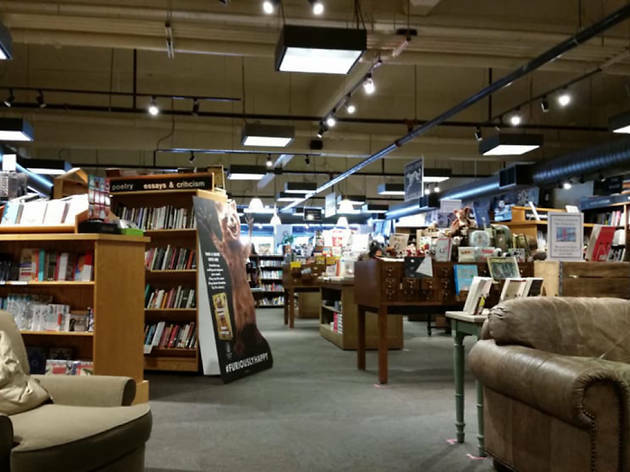 What is it: A brick and mortar book institution, with roots based in a Milwaukee landmark: the nearly 100-year-old Harry W. Schwartz Bookshops. Why go: Because Amazon is the devil. But more so for the gamut of author events - ranging from local up-and-comers to the likes of Jodi Picault, the strikingly curated and knowing staff picks, or for the simple romance of directionless browsing. No matter the final result of an afternoon, there’s a plethora of comfy couches and used or new availability on that Philip Roth you’ve been meaning to get to. What is it: Depending on the location, it’s some combination of cafe, coffee roaster, pizzeria, and live music venue. 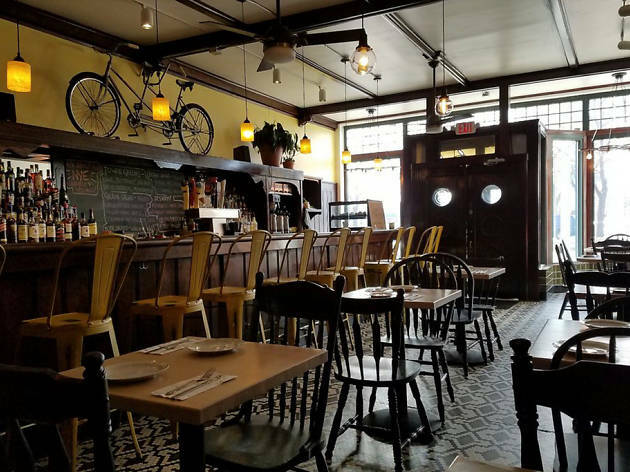 Why go: Sample Neapolitan pies from an Italian oven in Bay View, catch the likes of Albert Lee or a local country act on stage in Walker’s Point, or taste high end small batch roasts and a summer-defying cold brew wherever you encounter a location about town. 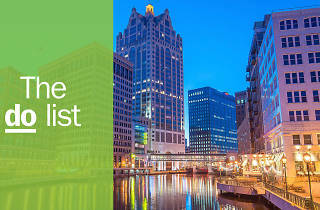 Ready to navigate your way through the best eats in Milwaukee? 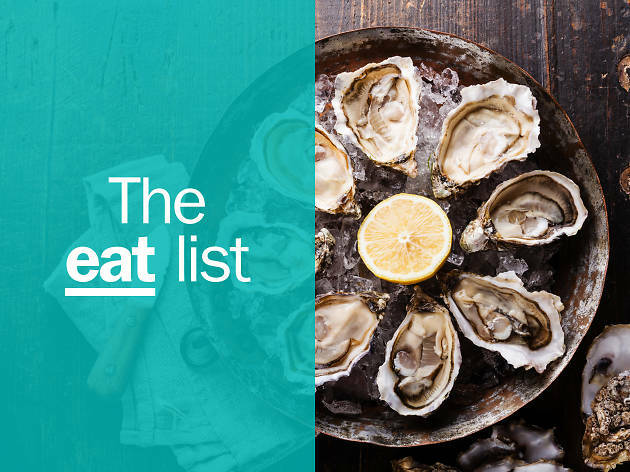 While beer and sausage are certainly a crowd favorite in this brewery-filled city, there's plenty of other dining options worth exploring. 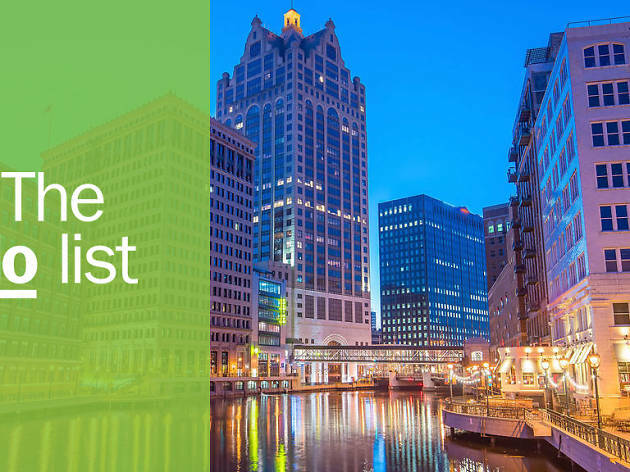 Check out our guide to the best restaurants in Milwaukee.